This is the information page for the 2017 event; unfortunately organisers, due to other commitments, are unable to put the event on in 2018, but hope it will be back in the future. 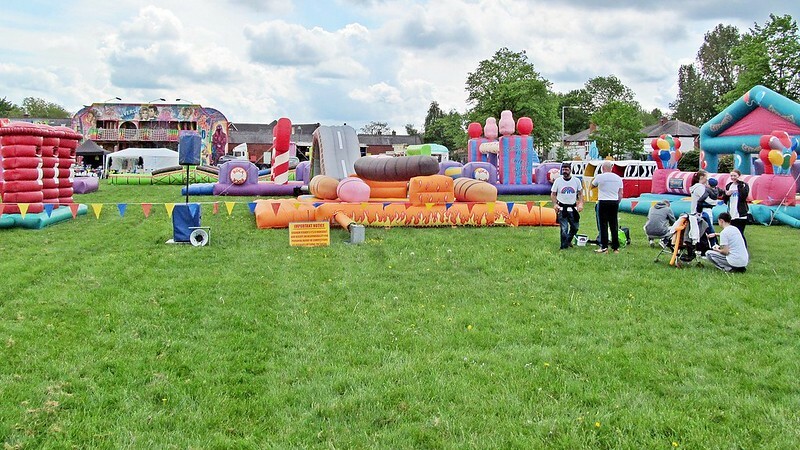 This popular event took place on the late May Bank Holiday Monday with its mix of team competition, stalls and attractions, community and entertainment. 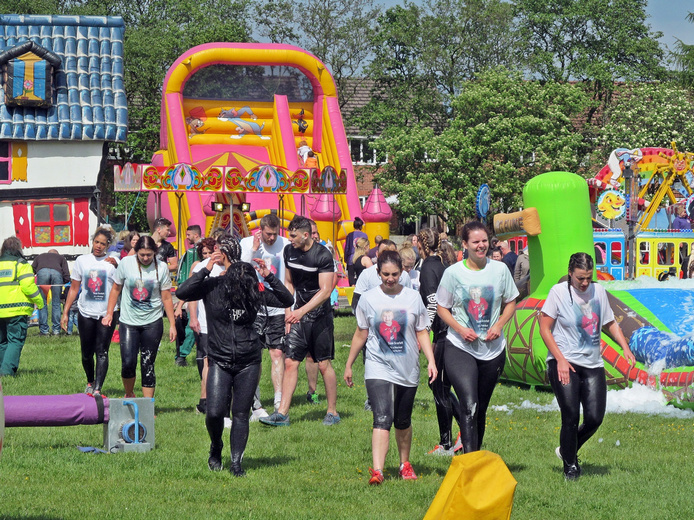 Organisers estimate that up to 5,000 people attended or were involved in this years event. 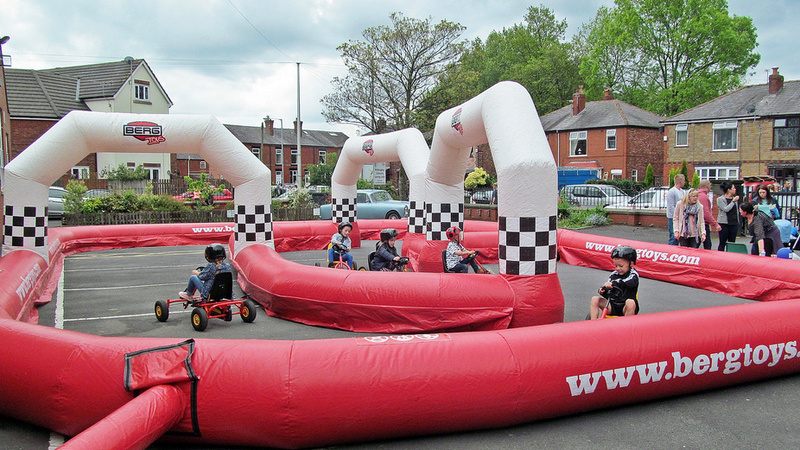 A great family-friendly event on your doorstep! 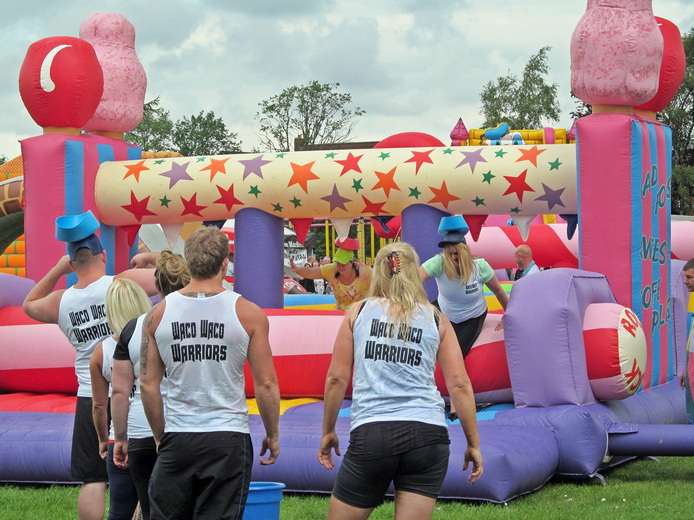 The ever popular, action and fun-packed Graham Fisher's International 'It's A Knockout' competition returns. 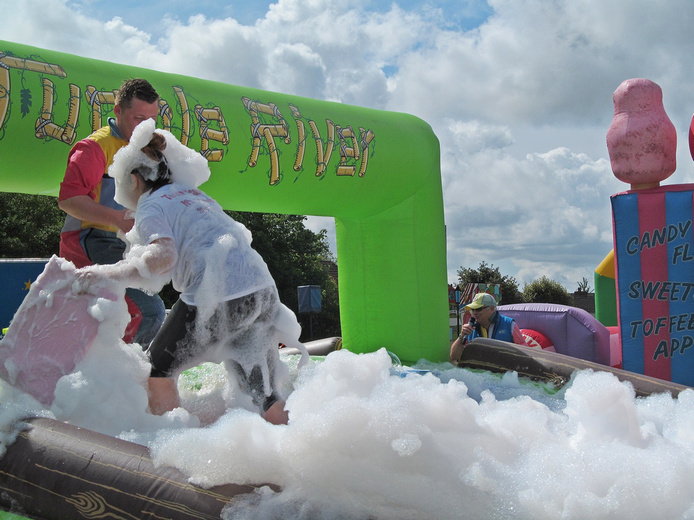 Teams of 6-10 people are invited to take part and rise to the challenge of the obstacle course of wet and foamy inflatables. A full compliment of teams took part, with 18 teams battling it out split over the two sessions. Madcap, fun, great to watch, even better to be part of. 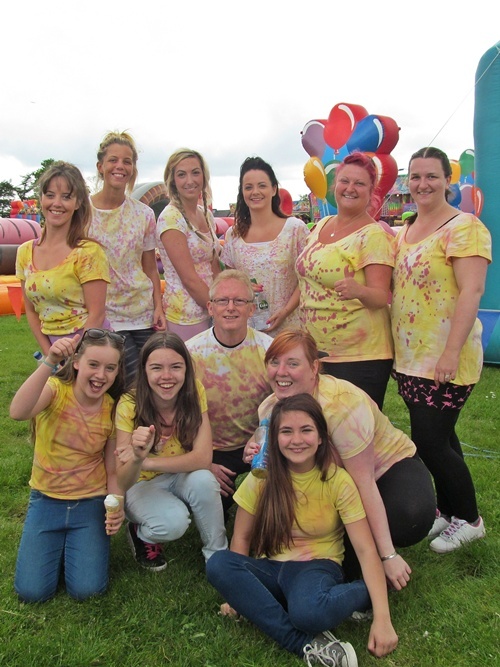 In the competition, morning winners 'The Rebels' (Sally's Rocking Rebels) were runners-up receiving £100. 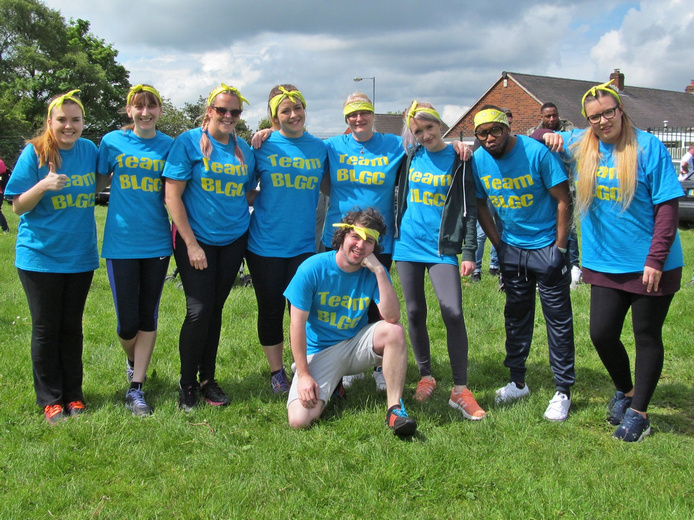 The overall winners were 'The Transformers' (Transform, Market Street); they received the 'It's A Knockout' 2017 Trophy and a prize of £200, which they generously gave back to W.A.C.O. to help support community groups and projects. 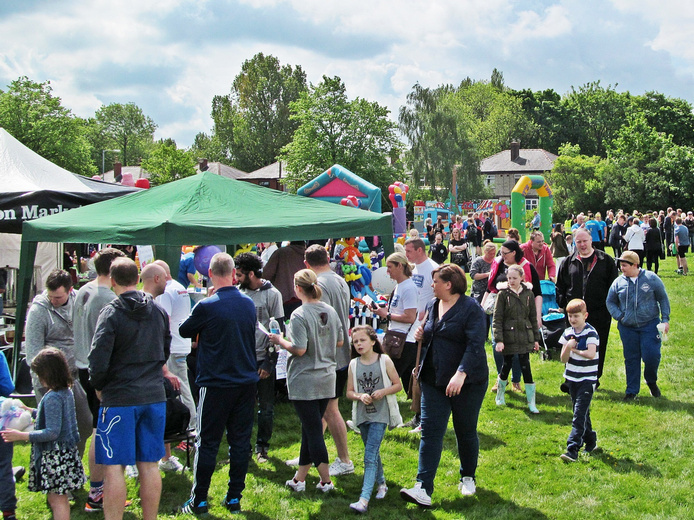 No Westhoughton community event would be complete without a wide range of entertainment and things to do and see. 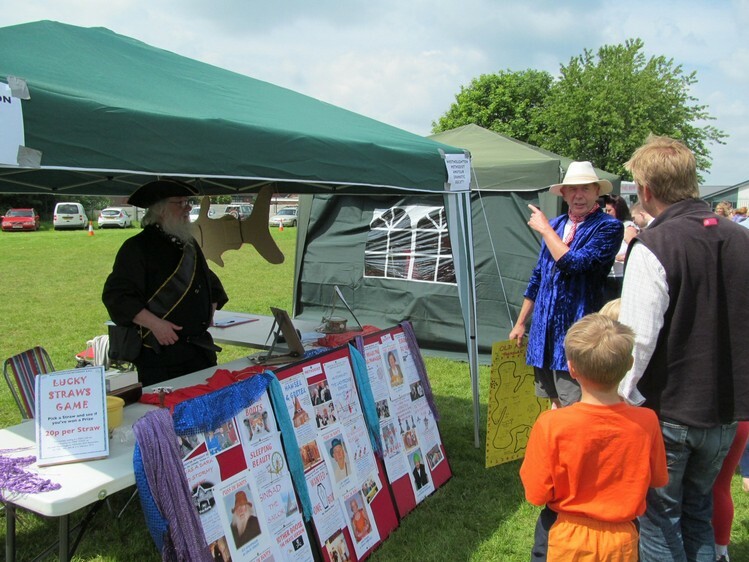 Adding a little pomp and poetry Westhoughton's very own Town Crier started proceedings. 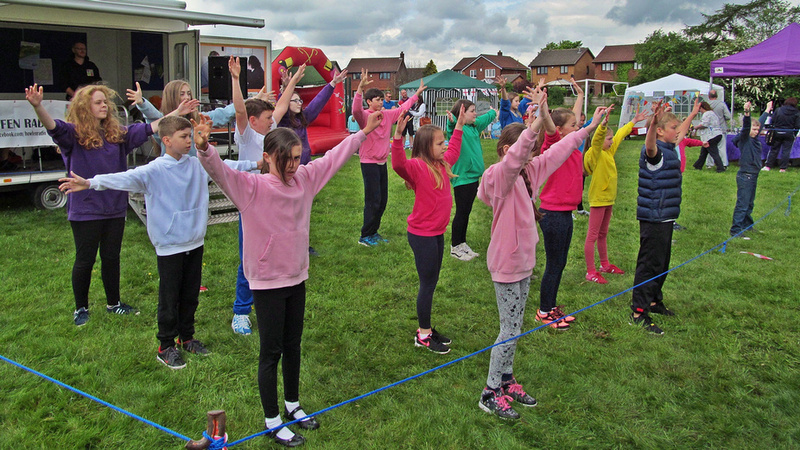 A full programme of entertainment was overseen by the Howfen Radio team; local talent taking to the stage to sing, dance or do demonstrations of martial arts… including the George Formby Society, The Bethel Crowd, Sally's Rocking Rebels, XDC and local singers. 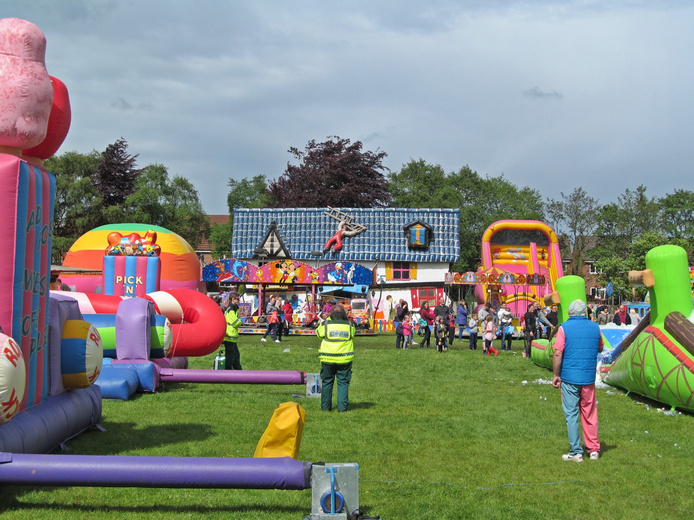 The entertainment stage provided and built by Rarecrest Scaffolding. Elsewhere there will be a range of family attractions including the animals from mobile petting zoo Little Barn Farm, costumed characters out and about, face-painters, military vehicles, vintage motorbikes … The ever-popular Chadwick & Holland's Funfair came to town providing thrills and spills with a range of rides for everyone - big and small. Thinking about families' pockets rides prices were reduced. 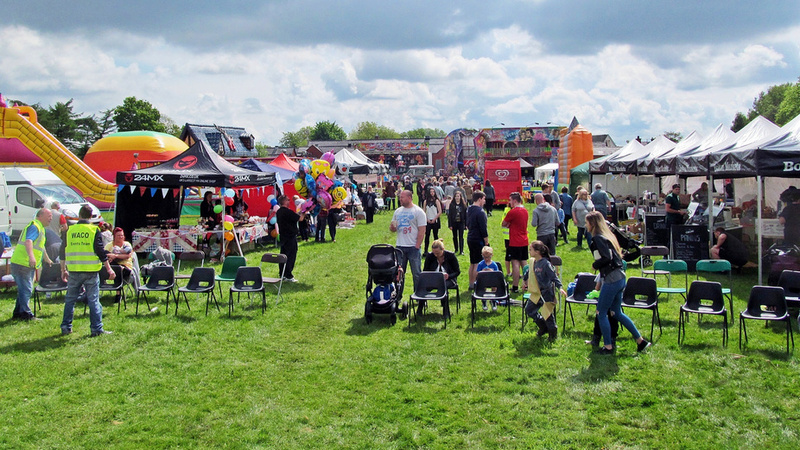 Adding to the general hubbub, a range of stalls from food stalls to trinket stalls. The W.A.C.O. stall had its fundraising tombola (money raised available for community projects). 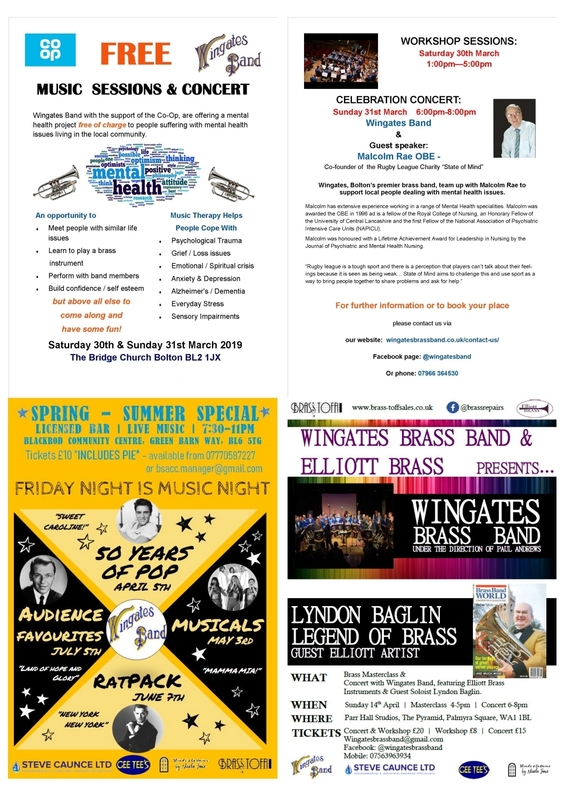 A number of community and special interest stalls giving information on what is going on in Westhoughton promoting local causes and encouraging people to get involved. Interested in volunteering? WCN provided information about local groups. If you have an interest or some time to spare it is a chance to meet people already active in the community and find something you might like to get involved with. A full set of photos from the event can be seen on our Flickr pages . at Westhoughton Communiversity Fair 2012. Facebook (event news and updates).